When faced with a man seemingly possessed by a demon Jesus is said to have recommended fasting and prayer. It is not unlikely that a condition of epilepsy would be perceived as demon possession 2000 years ago and if so the fasting advice of Jesus would indeed be good advice (the prayer part is less sound advice). 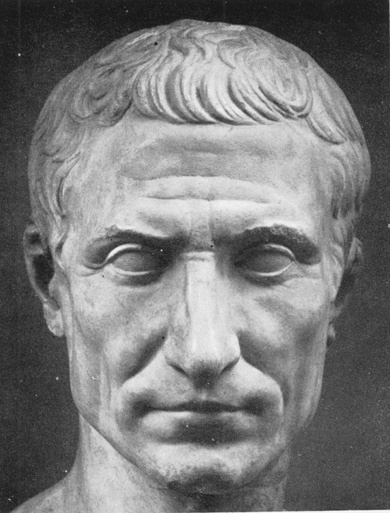 Descriptions of treatments with dietary restriction and fasting for seizures date as far back as Hippocrates. Fasting has most likely been used to treat epilepsy for several hundreds of years. Somewhat more recently it was discovered that low carbohydrate diets had the same anti seizure effect as fasting and high fat diets were considered as treatment for epilepsy 140 years ago. But what has carbohydrate restriction and fasting got in common? Well, several things in fact. But most obvious is the low glucose level, the increased fat oxidation and perhaps most importantly, the increased production and utilization of ketone bodies. So what is it about ketosis, induced by fast or carbohydrate restriction, and epilepsy? Approximately 10–20% of children with epilepsy will have seizures that are difficult to control despite high dose medications. In these children dietary treatment has proved a valuable strategy. The use of ketogenic diets was first reported for the treatment of seizures in 1921. Studies from then to present day have shown strong positive effects. For some reason there seem to have been a decline in the popularity of the ketogenic diet from the 1930s when the first anti epileptic drugs hit the market. But epilepsy was never completely cured by drugs alone and the need for optional treatments remained. During the last decade there have been a renewed interest in the ketogenic diet especially for the treatment of intractable epilepsy in children, as defined by inadequate control of seizures despite optimal treatment with conventional medications. Both medications (anti-epileptic drugs, AED’s) and surgery are used as treatments, but not always with success and often with complications and side effects. Having a background in metabolism, I found it odd reading how the ketogenic diets used for treating epilepsy are extreme in their implementation. The typical ratios of fats to carbohydrate + protein are 3:1 or 4:1 (by weight). This means that fat may constitute more 90% of the energy, causing the diet to be not only low carbohydrate but also low protein. In addition, the diet is almost always low calorie. It is administered under strict surveillance in a hospital setting. It starts with a fast and will sometimes even restrict fluid intake. Now, the hallmark feature of the diet is to increase ketone body production. I don’t know why the diet has developed into this strict and seemingly extreme implementation, but if ketone production is the goal, there is little logic behind a strict restriction in protein or calories. 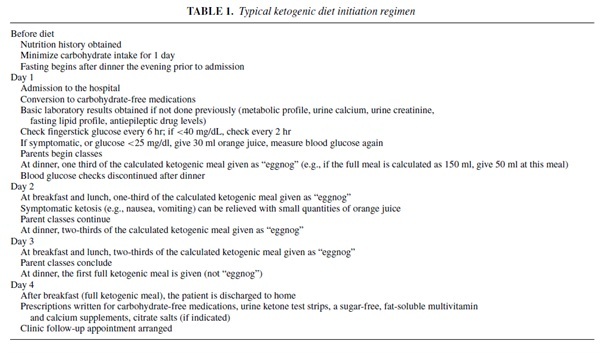 Below is a typical ketogenic diet initiation regiment used in a hospital setting. Ketosis is induced mainly through the reduction of dietary carbohydrates. A high protein diet may also be ketogenic. Ketone bodies are produced by the breakdown of fatty acids into beta-hydroxybutyrate, acetone and acetoacetate. Beta-hydroxybutyrate and acetoacetate can be used as fuel and when carbohydrate intake is low they are primarily used by the cells that have a limited ability to oxidize regular fatty acids. Acetone cannot be used as fuel. It is created through a spontaneous decarboxylation of acetoacetate into acetone and carbon dioxide and has to be excreted primarily through urine but also through breath and sweat. I cannot quite see the point with all the eggnog in the above protocol. No wonder they need a strategy to cope with vomiting. If the theory is that ketone bodies have an anticonvulsant effect then there is no need to eat anything different than normal foods excluding most carbohydrates. How about a steak with gravy and some salads? Although many of the children treated are very young and may benefit from a liquid diet formula the entire protocol seems to be based on an extreme hurry to start ketone production. These children are usually in no hurry and have no other need for extremes than do an overweight person starting Atkins. And what on earth is with the fasting? Several studies have indicated that there is in fact no need for starting the treatment with fasting. One prospective, randomized trial showed no differences in efficacy at 3 months between a fasting and a non-fasting group. The children in the non-fasting group were less likely to lose weight, become hypoglycemic, require treatment for acidosis, or become dehydrated. I feel that this finding really illustrates how different scientific communities suffer from the lack of communication across communities. Any diet doctor used to treating obesity and metabolic diseases with carbohydrate restriction could have anticipated the above results. The fasting part of the ketogenic diet for epilepsy just seems to be a remnant of the time when fasting was the only thing known to work. It lingers on for no apparent reason. The classic ketogenic diet has primarily used long-chain triglycerides (LCT). 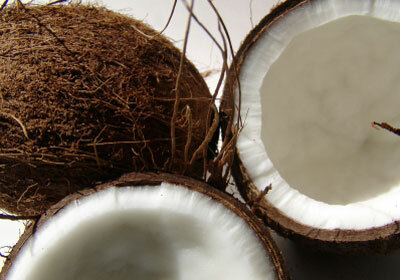 It has since been discovered that medium-chain triglycerides (MCT) are more ketogenic than LCTs. MCTs are less dependent on the carnitine transportation into mitochondria which allows for a faster oxidation. Octanoic and decanoic acids are also more easily transported into the cell. The use of MCT based ketogenic diets was considered positive, as it allowed for a lower total fat content of the diet, both because high fat content was (mistakenly) considered to be negative for long term health and because it allowed for a greater intake of carbohydrates and protein and thus a greater palatability. There does not, however, appear to be any difference in efficacy between a diet based on MCT and LCT, and a MCT based diet often cause abdominal problems such as bloating and diarrhea. Open label studies have consistently reported that 20-40% children have a >90% seizure improvement and a further 20-60% >50% improvement. Early publications reported the efficacy of the ketogenic diet to be very high with 60% of patients enjoying total freedom from seizures, and another 35% showing greater than a 50% decrease in seizure frequency. A retrospective analysis of the Hopkins cohort from 1992 showed that 29% of patients had nearly complete control of their seizures. hartman 2007 The numbers vary, largely due to methodological differences such as mode of reporting seizures, but there is little doubt of the diets efficacy. Despite over 80 yeas of use, only one randomized controlled trail (RCT) have been conducted on ketogenic diets for treating childhood epilepsy. In 2009 Freeman et al used a blinded crossover design. 20 children were put on a classic ketogenic diet and were in addition given a saccharin or glucose (60g/day) solution. There were fewer seizures in the saccharine group but the number failed to reach statistical significance (p=0.07). Not surprisingly, several of the subjects in the glucose group were also producing detectable amounts of ketone bodies. It is odd that the researchers would choose such a low glucose intake when it is accepted knowledge that it may take more than this to suppress ketogenesis. Neal et al (2008) conducted the only randomized controlled trial to date. They examined 145 children aged between 2 and 16 years and found a long awaited confirmation of the effect of ketogenic diet. As mentioned, the classic ketogenic diet is for some reason also a low protein diet. Evangeliou et al (2009) did a pilot prospective follow-up study of the role of branched chain amino acids as an addition to ketogenic diet. They included 17 children, aged between 2 and 7 years, with refractory epilepsy. All of the patients were already on the ketogenic diet. None of them was seizure free, while only 13 had more or less benefited from the diet. The addition of branched chain amino acids induced a 100% seizure reduction in 3 patients, and a 50% to 90% reduction in 5. The authors seemed somewhat surprised that no reduction in ketosis was recorded despite the change in the fat-to-protein ratio from 4:1 to 2.5:1. Strangely, ketogenic diets are not commonly recommended for adults. The reason is that the lifestyle alterations needed are too great. This is related to the belief that a ketogenic diet for epilepsy has to be started with fasting, conducted in a hospital setting, including strict weighing of foods and to be both low calorie and low protein. Eric Kossoff and colleges did a prospective study of a Modified Atkins Diet for intractable epilepsy in adults. They had previously demonstrated the successfulness of the diet in children. After 1 month 47% of the 30 patients experienced >50% seizure reduction. The Atkins diet offers a low cost, easily manageable treatment that proves as effective as medication and works in both children as well as adults. It may be especially important in poorer societies where food is available but medications and hospital admissions are scarce. Despite nearly a century of use no one knows why or how ketogenic diets work to reduce seizures. Many hypotheses are proposed, but brain chemistry is hard to research and most of the data come from animal models. Different diet compositions have been tested, such as medium chain triglyceride vs. long chain triglyceride diets, but the main factor important for effect seem to be ketosis. Thus, available evidence indicates that dietary composition per se does not appear to affect the anticonvulsant efficacy of the diet, as long as there is a degree of sustained ketosis. Although, reduction in glucose levels have also been found effective despite a low ketone body production. Diet composition of the ketogenic diet is thought to be less important, but the research still indicates that seizure control is optimized when ketogenic diets are administered in ratios of ≥3:1, and higher ratios has increased both clinical and experimental anticonvulsant efficacy in rats. A lower ratio does mean higher carbohydrate and protein intake and a smaller degree of ketosis which might explain these findings. One study found that for seizure-free patients who started on a 4:1 diet, antiepileptic efficacy was maintained after changing to the 3:1 diet. An interesting feature of ketogenic diets is the rapid re occurrence of seizures when carbohydrates are reintroduced to the diet. Based on the above, and the fact that fasting also offers protection from seizures, it is only natural to assume that the ketone bodies themselves might be the causal factor. But it doesn’t seem that simple. There generally is no correlation between seizure reduction and levels of beta-hydroxybutyrate (BHB) measured in urine or serum. An optimal seizure protection with the diet may take days or weeks whereas level of BHB may increase significantly in only hours after starting a ketogenic diet. Acetone however, do appear to be an anticonvulsant. Acetone, formed by the spontaneous decomposition of acetoacetate, is highly unstable, making it difficult to measure. One study using technology based on breathalyzers for detecting alcohol levels in drivers, found that breath acetone correlated with plasma levels of all three ketone bodies in patients with epilepsy on the ketogenic diet, although there was no correlation with seizure activity. Still, when injected directly into animals, acetone and its originator acetoacetate, prevent acutely provoked seizures. However, high brain levels of acetone have been found in some, but not all seizure free patients. Acetone is highly lipophilic in nature and acts as a solvent. This lipophilic nature has been proposed as one possible anticonvulsant mechanism. Although ketone bodies have not been shown directly to be anticonvulsants, some degree of sustained ketosis is required for clinical efficacy. But if acetone or the other ketone bodies are not the cause, what is it about ketosis? Another feature of ketosis is the lower blood glucose levels. Blood glucose can also be reduced by calorie restriction. Calorie restriction alone has been found to be sufficient to reduce seizure susceptibility in both juvenile and adult epileptic mice. In addition it was found that glucose levels were inversely correlated with a decreased risk of seizures. Some have hypothesized that glucose lowering activates ATP-sensitive potassium channels. These channels are sort of metabolic sensors, and lack of energy as ATP reduces membrane excitability. The channels are also particularly abundant in the part of the brain (substantia nigra) largely responsible for the spreading of seizure activity. The potassium channels are regulated preferentially via glycolytic energy sources which lend support to the decreased glucose hypothesis. The potassium channels are also new targets for antiepileptic drugs as the older drug types have focused more on sodium channels. It has been hypothesized that a low glucose level reduce energy availability for neurons and thus limit their ability to reach and maintain the high levels of synaptic activity necessary for seizure generation. But, there is a caveat to this hypothesis. Ketosis, or the presence of ketone bodies increase energy availability for the neurons thus fulfilling their role as an alternative energy source to glucose. In fact, a stronger hypothesis centers on the fact that energy availability for neurons are increased during ketosis. The major molecular targets of anticonvulsant drugs are voltage-gated sodium channels and components of the GABA (γ-Aminobutyric acid, a major inhibitory neurotransmitter) system. Many of the proposed mechanisms of the ketogenic diet also center on these targets. An important part of the antiepileptic effects of ketogenic diets may be related to its effect on brain amino acid handling. Getting the brain to favor production of GABA trough increasing aspartate relative to glutamate, the precursor to GABA synthesis, seems positive. Although it has proven difficult to measure increased levels of GABA in brain of rodents it might still cause anti seizure effects through undetectable local increases. In children, the cerebrospinal GABA levels have been found to be higher in responders than in non-responders to the ketogenic diet. Total brain glutamate has not been found to be increased on the ketogenic diet, although there may be regional increases. Aspartate is one of the amino acids of the high intensity sweetener aspartame. Interestingly, aspartame has been implicated anecdotally in seizure provocation although one randomized controlled trial of persons who thought their seizures was related to aspartame showed no different results from placebo. Increased blood levels of polyunsaturated fatty acids (PUFA) have also been proposed as an anticonvulsant. PUFA can cross the blood brain barrier freely whereas saturated fatty acids are transported. Some PUFA may affect potassium channels thus giving them an antiepileptic effect. One study found that dietary supplementation with 5 g of (65%) omega 3 PUFAs once per day produced a marked reduction in seizure frequency and intensity in a few epileptic patients. The results are interesting, but the mechanisms poorly understood. High fat/ low carbohydrate diets increase norepinephrine levels. Increases in noradrenergic tone have anticonvulsant effects. In addition, norepinephrine re-uptake inhibitors can prevent seizure activity. 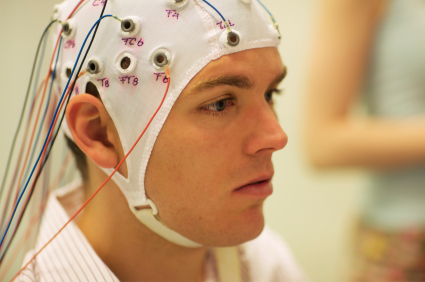 There are also reports of diminished levels of brain norepinephrine in several animal models of epilepsy. Numerous studies have described changes consistent with an enhancement in energy production following ketogenic diets. Genes associated with oxidative phosphorylation are activated by ketogenic diets in addition to stimulating mitochondrial biogenesis. In one study amounting to a striking 46% increase in the number of mitochondria in the hilar/dentate gyrus region of rat hippocampus. Brain glycogen and ATP concentrations have also been boosted in rodent brains. Overall ketogenic diets increase metabolic efficiency, decrease respiratory quotient, and maximize mitochondrial respiratory rate in rodents. Impairment of mitochondrial function has also been observed in the seizure foci of both human and animal epilepsies. But how is increased metabolic efficiency anticonvulsant? One possibility is via the mentioned sodium pump. ATP is primarily used to maintain ionic gradients across membranes, through actions of a sodium pump. In neurons, increased sodium pump activity might hyperpolarize the cell and/or reduce the resting membrane potential thus diminishing firing probability resulting in a smaller chance of seizure. Increased ATP might also increase the function of neurons and delay a pathological buildup of high extracellular K+ ions. It seems likely that ketogenic diets induce seizure protection by preventing neuronal dysfunction and/or increasing energy reserves thus stabilizing signals across neurons. But the mechanisms are still not sufficiently understood. Other hypotheses include mechanisms relating to uncoupling proteins, reactive oxygen species, neurosteroids and yet other. Current evidence indicates ketogenic diets optimize cellular metabolism which seem to be an important reason for its anticonvulsant effect. This begs the question of whether epilepsy is in fact a metabolic disease. If epilepsy is linked to a metabolic dysfunction (at least if systemic in nature) we would expect to find correlations between epilepsy and other metabolic diseases related to/ or being highly influenced by macronutrient composition and ketosis. Seizure reductions have been correlated to decreasing weight. But ketogenic diets usually decrease weight at the same time as acting anticonvulsant. 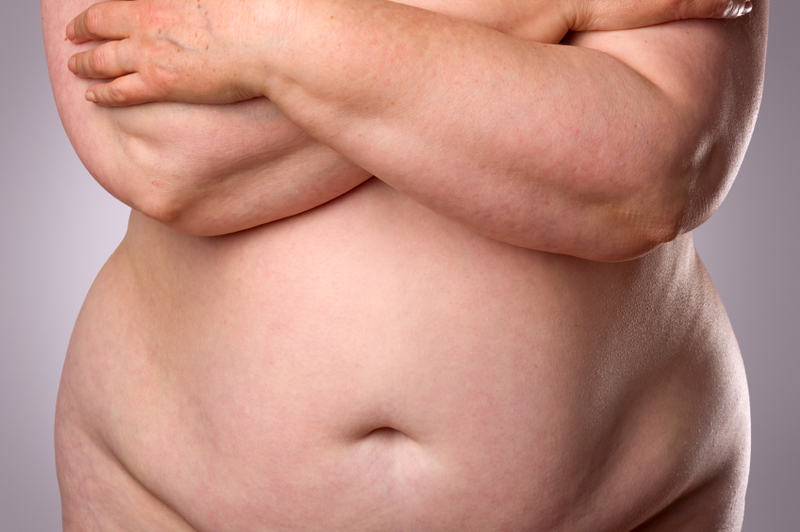 Obesity is a common feature of metabolic dysfunction and is highly improved by carbohydrate restriction. It is difficult to examine a correlation between obesity and epilepsy because antiepileptic drugs usually increase the risk of becoming overweight. The condition also decrease physical activity in those inflicted. Gao et al 2008 examined the relation between BMI and epilepsy in a British cohort and found that underweight patients (40 BMI) patients tended to have higher incidence rates of epilepsy than those with normal weight. Daniels et al 2009 also found that obesity is a common comorbidity in children with newly diagnosed untreated epilepsy. There is to my knowledge little linking epilepsy to systemic metabolic dysfunctions. 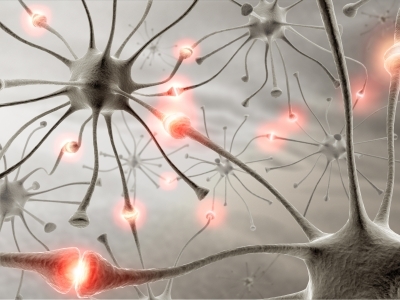 On a more local level however, epilepsy might easily be considered a metabolic disease. Considering the importance of optimal brain energy levels it does make me think of cases of local cellular hunger reported in other conditions. I do feel those working with ketogenic diets for metabolic diseases and those using the diet for epilepsy treatment really should work more closely together exchanging experiences. With the inclusion of the Atkins diet it seems this is happening. But the strict and somewhat extreme implementation of ketogenic diets for treating childhood refractory epilepsy are in stark contrast to the ketogenic diets usually implemented for overweight and it’s metabolic comorbidities. The reporting of side effects from epilepsy treatment illustrates this. Common side effects described are those seen when very much fat is eaten (nausea, vomiting, gastric distress), and to little minerals or proteins are consumed (lack of energy). The 3:1 ketogenic diets are often favored to the 4:1 diets because of its greater palatability. Neal et al. 2009 reported that the most frequent side-effects reported at 3-months were constipation, vomiting, lack of energy, and hunger. If you are hungry a lot on a ketogenic diet it means something is wrong. And in epilepsy treatment something often is wrong. One aspect of the diets that seem totally unnecessary is that the diets in addition to being ketogenic are also low calorie. Ketosis does not in any way exclude energy balance. An example of a consistently noted side effect is nephrolithiasis also known as kidney stone formation. It is seen in 6% of patients on the ketogenic diet. Whether it can be contributed to the diet or medications is uncertain, but a diet can easily be adapted to reduce the risk of stone formation. The ketogenic diet is typically used after a patient has been failed by numerous medications; by current definitions, these patients have intractable epilepsy. But according to data there is no need to go for medications first. A retrospective study showed that the diet has similar efficacy when used after zero or one medication has been tried. Perhaps further illustrating the metabolic nature of epilepsy. The GLUT1 (glucose transport protein type 1) deficiency syndrome where glucose cannot be transported into the cerebrospinal fluid for use by the brain may cause epilepsy. 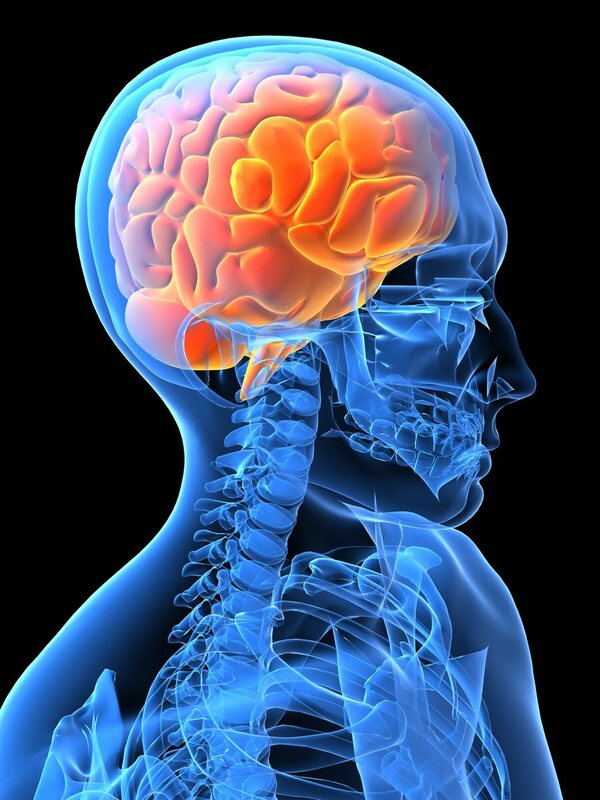 In this condition, when on a carbohydrate based diet, the brain simply cannot get the energy it needs and the ketogenic diet is especially effective. The same goes for pyruvate dehydrogenase deficiency where ketone bodies can bypass the enzymatic defect. The Ketogenic diet also proves effective in glycogenosis type V or McArdle disease. A condition characterized by a deficiency in breaking down muscle glycogen to form ATP. There have been several reported cases where a tumor derived from the beta cells in the pancreas is mistaken for epilepsy. As a doctor it may be difficult to distinguish such insulinoma from what is referred to as adult onset refractory epilepsy. 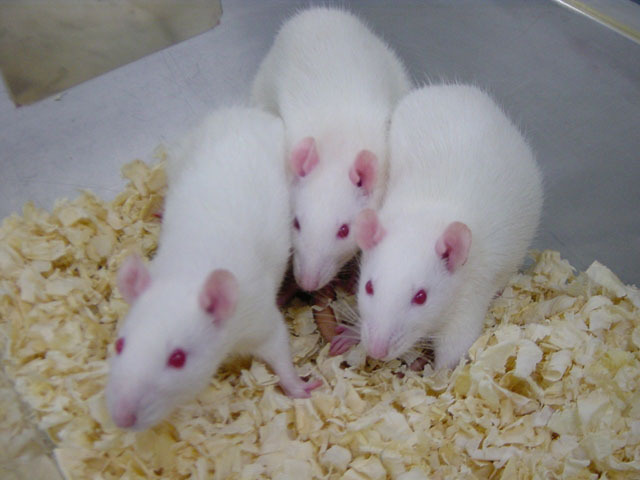 In contrast to humans, rats on a high-fat ketogenic diet seem incapable of maintaining plasma beta-hydroxybutyrate above 1 mmol/L for more than a week. Seizure suppression can still occur in animals on the ketogenic diet that no longer exhibit ketosis.